Orange is not an exotic fruit for India. You find several variants. Now, we also have tangerine, clementine, and kinnow available easily. But, when it comes to bath products, it becomes a rare sight. While citrusy lemony scents are common, orangey scents are not. I have tried high and low to get a refreshing zesty orange bath product but I have always failed. 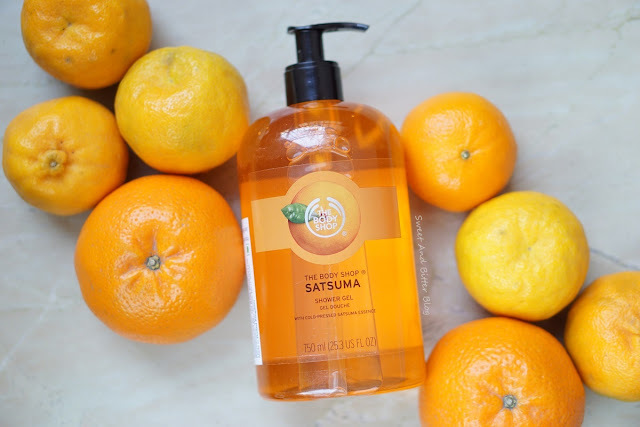 I always end up going back to The Body Shop Satsuma. Forest Essentials - My go-to brand for fragrance also has a range for Coorg Mandarin but no shower gel or even soap in that range. Another bath product giant - Bath and Body Works have Orange Ginger (Energy) but no Orange Citrus range. To finish all the drama, I decided to get the big jumbo bottle. Trust me, they need good thought put in before purchase because they can last more than a year as you need very little of this. 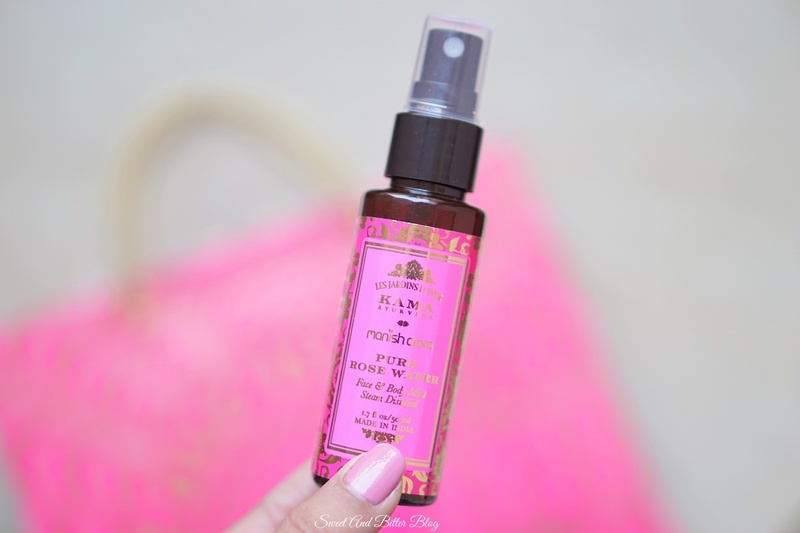 A part of my mind says - Stop buying rose water. You have enough. Another part says - New! New! New! Buy! Buy! Buy! 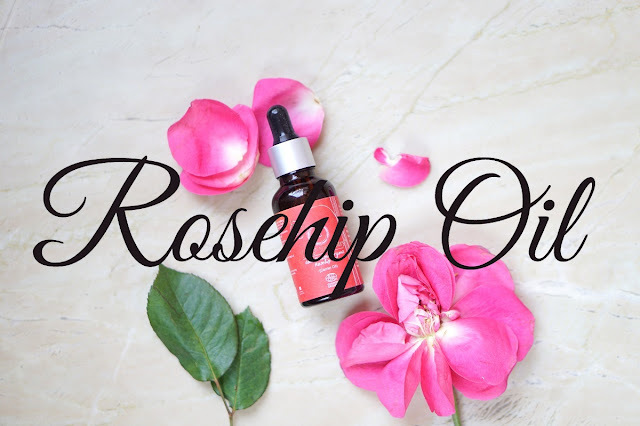 This might be a shocker but I do not like the regular line of rosewater by Forest Essentials (Rosa Damascene). I find the fragrance of that one too strong for use. 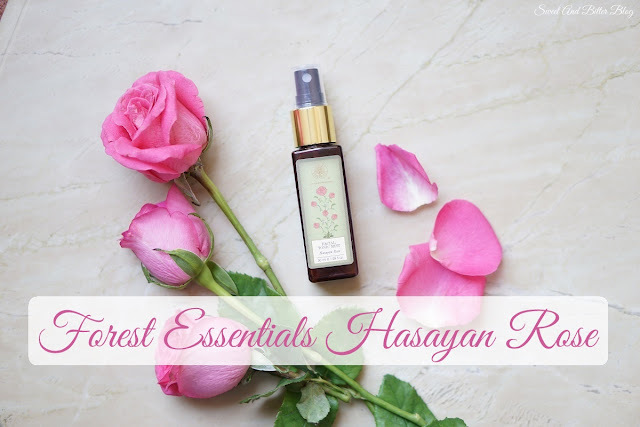 But, the SA told me that Hasayan Roses are the pink Desi Gulab (Rosa Rubiginosa) and have a milder fragrance. How could I say no? "I will not buy new products because of pretty packaging." "I will not buy new products because of pre…." Instagram Notification - Kama Ayurveda just posted - Limited edition Love is Love box designed by Manish Arora. Oh so pretty! But, wait…₹1,850.00 for 200ml rose water (Regular price ₹ 1050), and a randomly sent broach? No way. No freaking way I am going to buy this. Within 5 days I discovered that the individual bottles are also available. No points for guessing that I made a beeline to the Kama Store and picked one for myself. So, I got the one from Juicy Chemistry. 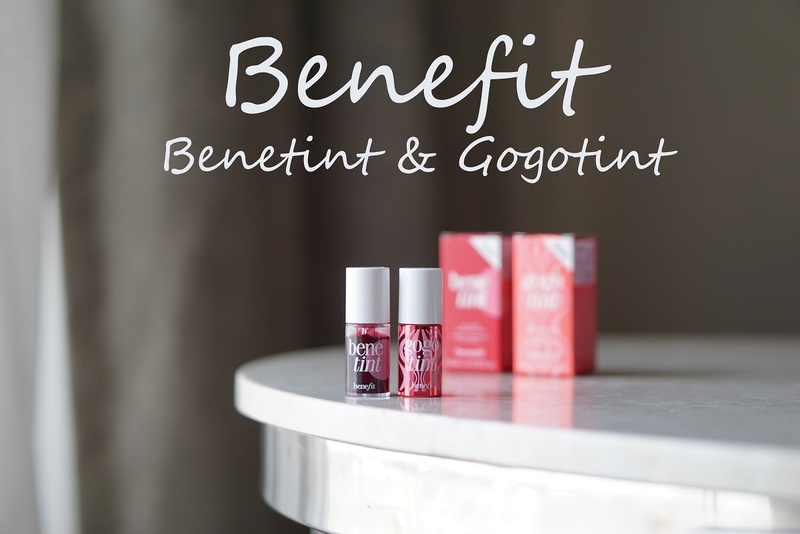 I wanted to try a lot of things from Juicy Chemistry and added them to the cart as well. Want to see the haul post? 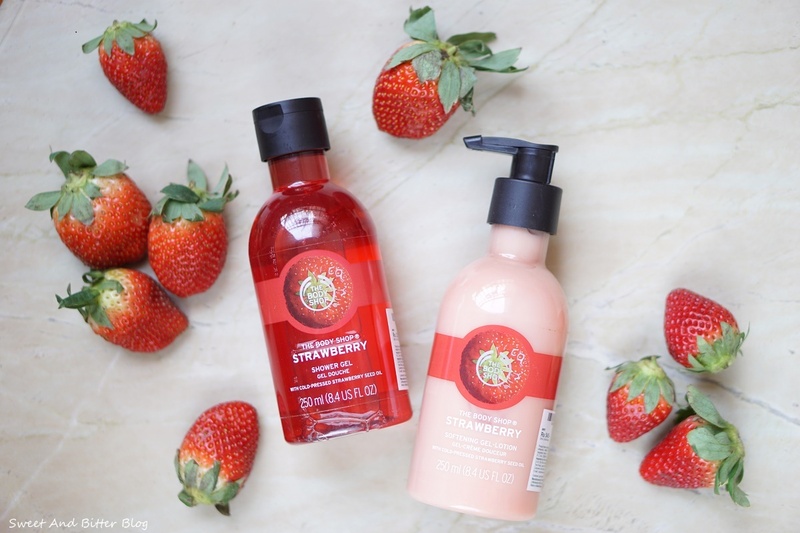 The strawberry range from The Body Shop is very famous. They do have Japanese Cherry Blossom as well as part of the Voyage collection. 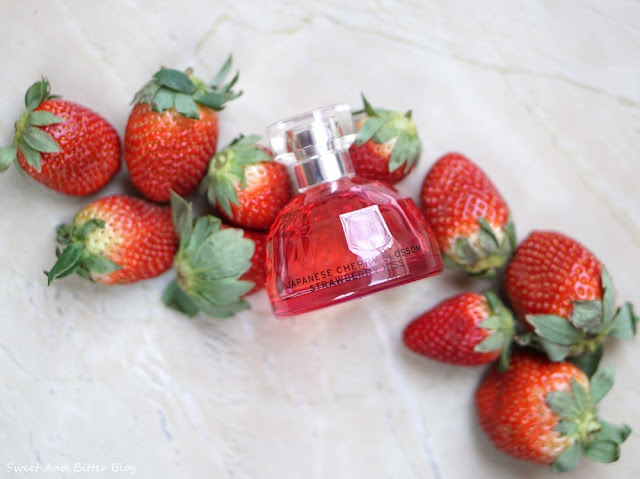 (Talking about voyage collection, I like their English Dawn Gardenia.) Recently, they created this line with strawberry and cherry blossom to give a mix of floral with fruity. The range has shower gel, body butter, and this EDT.